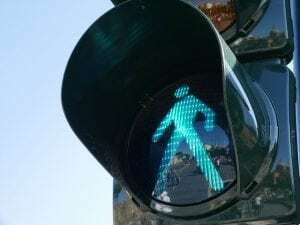 Brooklyn, NY (March 30, 2019) – Pedestrian accidents are some of the most severe accidents that take place on our roads due to the fact that pedestrians have the least amount of protection from harm against motor vehicles. Police reported that a female received injuries in a pedestrian accident that took place at the intersection of 13th Avenue and 48th Street. Details are scarce concerning this accident, which took place on the afternoon of March 25th. At the scene, a vehicle had stopped after it struck a female pedestrian for reasons that are not yet known. The pedestrian was not identified. The pedestrian is expected to be okay but had a variety of injuries and was transported to the hospital. There have been no updates on her condition and the investigation into the accident continues at this time. Pedestrian accidents are known for being some of the most devastating accidents that take place on our roads every year across New York due to the fact that they are vulnerable parties with few protections. These accidents tend to be some of the most injurious and even fatal events that many individuals endure. If you have been involved in a pedestrian accident and you believe another party is at fault, you have rights after a personal injury claim. At Hach & Rose, we are fully dedicated to helping the victims of serious accidents as they start to proceed forward with their accident claims. We want to help you work toward the compensation you deserve for aspects like medical bills, emotional distress, and more. When you are unable to return to work and the bills continue to pile up, we want you to know that you have rights. Contact us at 212-779-0057 for more information on how we can make a difference in your claim.